Provide law enforcement authorities with the discretion to decide whether to incarcerate low-level felony offenders whose cases are pending – In other words, police officers could choose not to jail some offenders when they determine that court hearings would suffice. The following provides a closer look at these bills, both of which are expected to pass in the State Senate. This bill passed by a voice vote on the Senate floor on Monday, March 21, 2016. The bill will enable prosecution teams to make a case to juries that domestic violence offenders with three prior convictions with findings of domestic violence be charged with a felony. “One of the issues around domestic violence is it is a cycle of not only violence but when there are no consequences for your actions then it emboldens the actors and things just get more serious,” Sen. Linda Newell, D-Littleton, who sponsored the bill in the Senate, said in a March 31, 2016 article in The Gazette. Since 2000, Colorado has had a longstanding history of charging domestic violence repeat offenders with a felony charge, but many litigators say it can prove difficult to bring felony charges against defendants in certain jurisdictions. All this bill really does is finalize the intent of those lawmakers who put the first law on the books to charge repeat offenders with a felony. It would now make it possible for lawyers to look back at previous convictions, even if it was in another state, to give the offenders the punishment that is coming to them. It used to be hard to prove someone was charged with domestic violence, because it wasn’t really an actual crime but rather a sentencing enhancer. This bill would change that recognition issue from being a once misdemeanor offense to a felony. House Bill 1104 also passed the Senate Judiciary Committee on March 21, 2016 with a unanimous decision. It gives police and district attorneys the power to make a decision about arresting and jailing low-level felony offenders. This bill has a three-pronged impact. Firstly, it can lessen the load for officers who would otherwise have to transport and book offenders. Secondly, it would free up another bed in jail that would be better served with a more serious offender. Thirdly, it helps out the person who is being charged, so they don’t go to jail right away – enabling them to work their jobs, see their family, and get ready to fight their case. Contact Shimon Kohn, P.C. 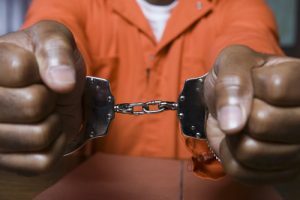 Have you or a loved one been charged with a felony crime in Colorado? If so, call a criminal defense attorney Colorado Springs Criminal Defense Lawyer at Shimon Kohn, P.C., LLC at (719) 328-9555 or by emailing us using the contact form at the top of this page. From our offices in Colorado Springs, we represent clients throughout the Pikes Peak region and Colorado.